Turkey, dressing, and numerous fixings were prepared for the November 22nd, 2018 Thanksgiving lunch at Christ Fellowship Church in Ringgold, GA. It was a labor of love, because it takes time to prepare for such a great feast. Most of the side items, such as cranberry sauce, were made the night before or a couple days before Thursday. The two frozen turkeys were allowed to thaw in a refrigerator three days before they were baked in an oven at the church for at least four hours. 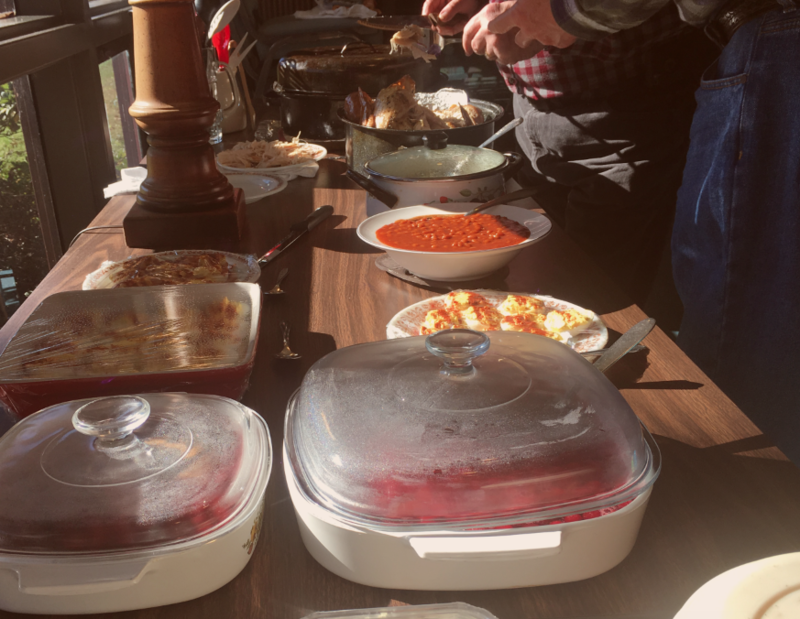 Friends,loved ones and guests came to the lunch by 1:00 p.m. to talk, prepare what they contributed to the meal, and to offer help to the cooks. After a prayer the meal started at 2 p.m. 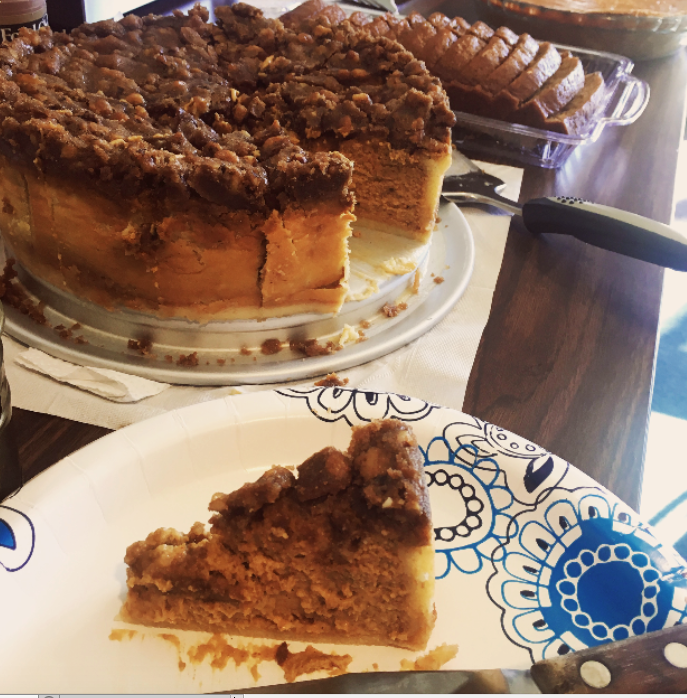 Among the desserts offered were homemade pumpkin pie, homemade pumpkin bread, and homemade pumpkin cheesecake, the latter of which had a topping mixture of dark brown sugar, butter, and walnuts.